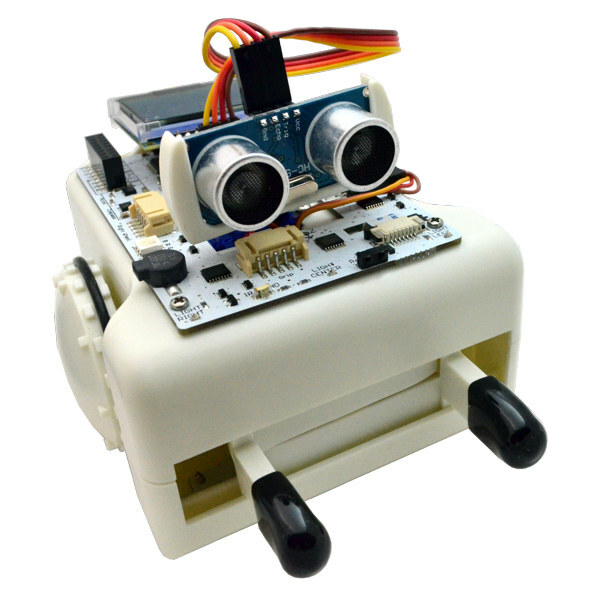 Sparki the Easy Robot is an entry level Arduino compatible robot designed to educate and inspire. Designed to teach kids about robotics, Sparki is simple enough for beginners yet comes with a full set of features for advanced applications. 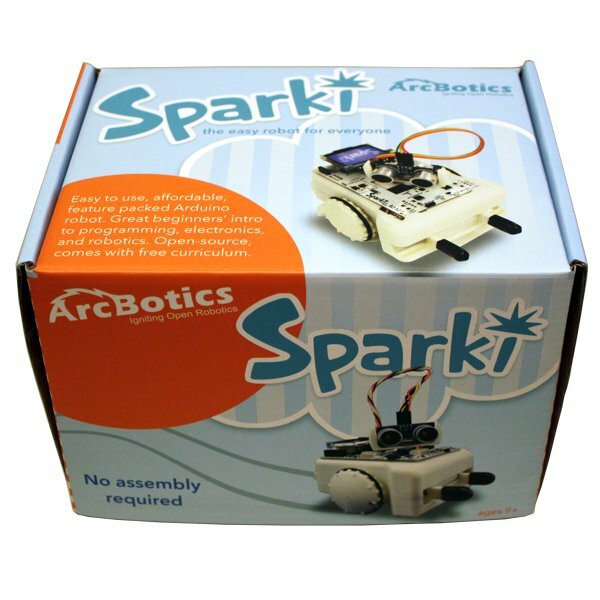 You can operate Sparki right out the box with the included remote control or attach it your computer to write your own programs. Create real C/C++ programs with the SparkiDuino IDE. Sparki comes with a free online curriculum. 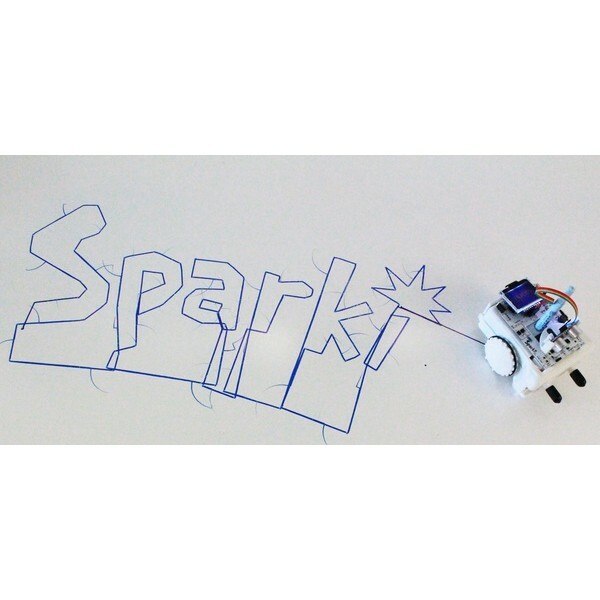 Sparki the Easy Robot requires four rechargeable or alkaline AA batteries. 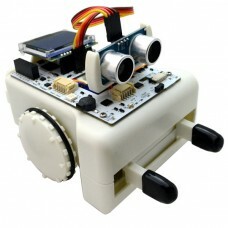 The package includes a USB cable and IR remote controller.